© 1971. Published by National Research Council of Canada. NRCC 12156. 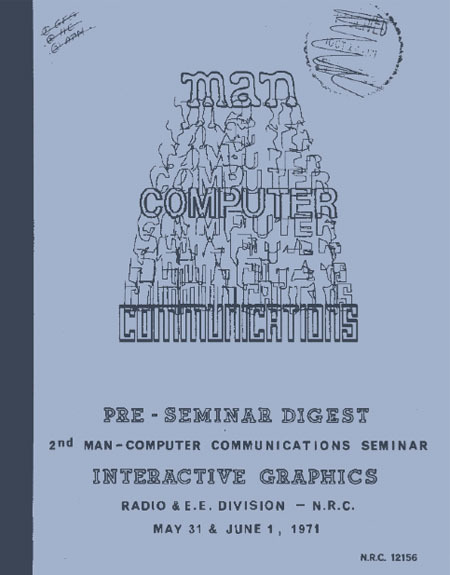 The Second Man-Computer Communications Seminar was held by the Radio And Electrical Engineering Division (Division De Radiotechnique et de Genie Electrique) of the National Research Council of Canada. The conference presented 15 papers with an opening address by Dr. R.G. Stanton, Head of Computer Science Department at the University of Manitoba.